1 A None No Power Seat 1 A is an Business Class seat whose proximity to the lavatory and galley may be bothersome. The tray table is in the armrest, making the armrest immovable and slightly reducing seat width. There is no floor storage for this seat during take-off or landing. 1 B None No Power Seat 1 B is an Business Class seat whose proximity to the lavatory and galley may be bothersome. The tray table is in the armrest, making the armrest immovable and slightly reducing seat width. There is no floor storage for this seat during take-off or landing. 1 C None No Power Seat 1 C is an Business Class seat whose proximity to the lavatory and galley may be bothersome. The tray table is in the armrest, making the armrest immovable and slightly reducing seat width. There is no floor storage for this seat during take-off or landing. 1 D None No Power Seat 1 D is an Business Class seat whose proximity to the lavatory and galley may be bothersome. The tray table is in the armrest, making the armrest immovable and slightly reducing seat width. There is no floor storage for this seat during take-off or landing. 20 A None No Power Seat 20 A is an Economy Class seat in the last row of the plane that may have limited recline. 20 B None No Power Seat 20 B is an Economy Class seat in the last row of the plane that may have limited recline. 21 C None No Power Seat 21 C is an Economy Class seat in the last row of the plane that may have limited recline. The close proximity to the lavatory and galley may be bothersome. 21 D None No Power Seat 21 D is an Economy Class seat in the last row of the plane that may have limited recline. The close proximity to the lavatory and galley may be bothersome. 6 A None No Power Seat 6 A is a standard Economy Plus seat. 6 B None No Power Seat 6 B is a standard Economy Plus seat. 7 A None No Power Seat 7 A is a standard Economy Plus seat. 7 B None No Power Seat 7 B is a standard Economy Plus seat. 7 C None No Power Seat 7 C is a standard Economy Plus seat. 7 D None No Power Seat 7 D is a standard Economy Plus seat. All Business and Economy Plus seats have access to a power port. Complementary meals and beverages are offered on all international flights. Business Class passengers are offered premium options. Click here for more information. LOT Polish flies the Embraer ERJ-175 with 82 seats in a 2-2 configuration of Economy. On select international flights, the first rows are sold as Business Class. These seats feature the same seat pitch and width, but are offered different food service. There is no in-flight entertainment on this aircraft. I'm taking this plane once per month CDG - WAW - CDG. The plane is very comfortable. A lot of space for the legs. The best seats covered with grey material eg. SP-LIA (softer than the navy blue ones). Seats are reclined (in contrast to current Lufthansa or Air France seats on this itinerary). Water + hot tea + chocolate wafer free. My favourite seat 21A / 21D. I have flown this plane with LOT on the Warsaw to Odessa route 5 or six times. 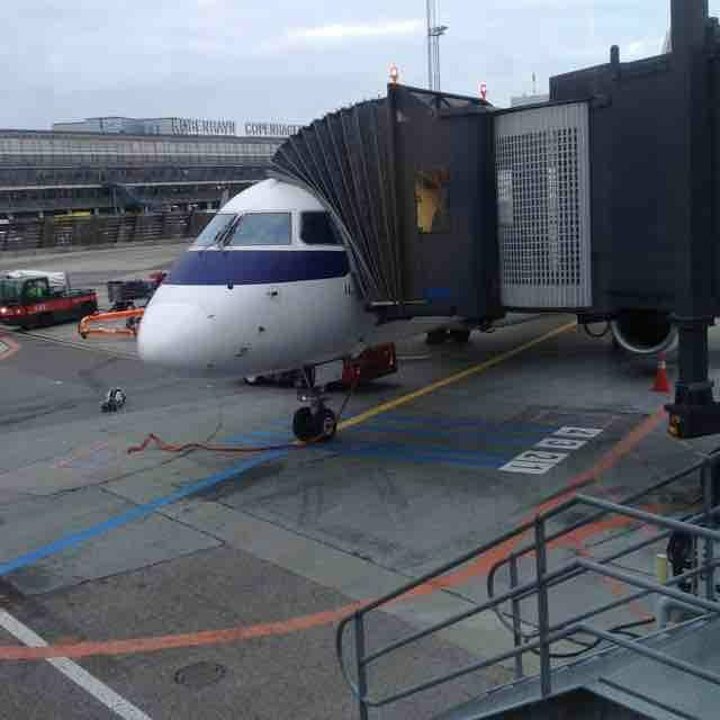 Very nice plane and good service. I was a little surprised that they wanted to charge for coffee or tea on the last trip. At least water was still free. I have flown the Embraer on the Warsaw to Odessa run many times It is a comfortable plane and the service is great. The lack of entertainment is not important on a two hour run. The fact that they now want to SELL you tea or ooffee was a little irritating. On the other hand the stewardess filled up my drinking bottle with bottled water with a big smile. Overall it is still a good short haul flight. 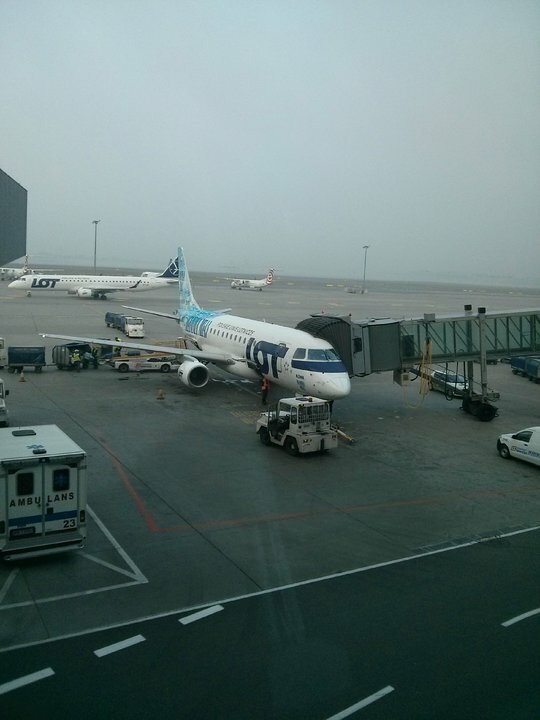 LOT Polish Airlines flies 1 versions of Embraer ERJ-175.